Debbie Ryder is a British artist living in London. 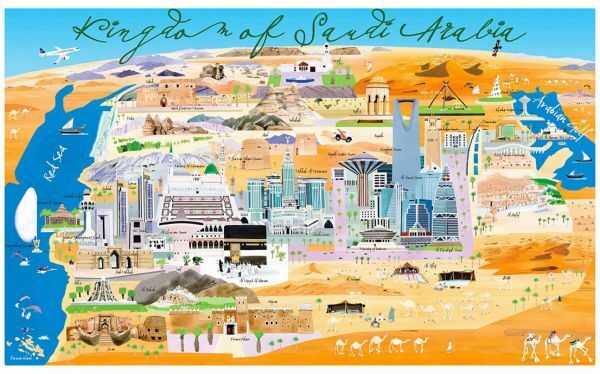 In this specially commissioned illustration, the significant locations of Saudi Arabia are uniquely illustrated. Colorful, fun and a great talking point in any room.